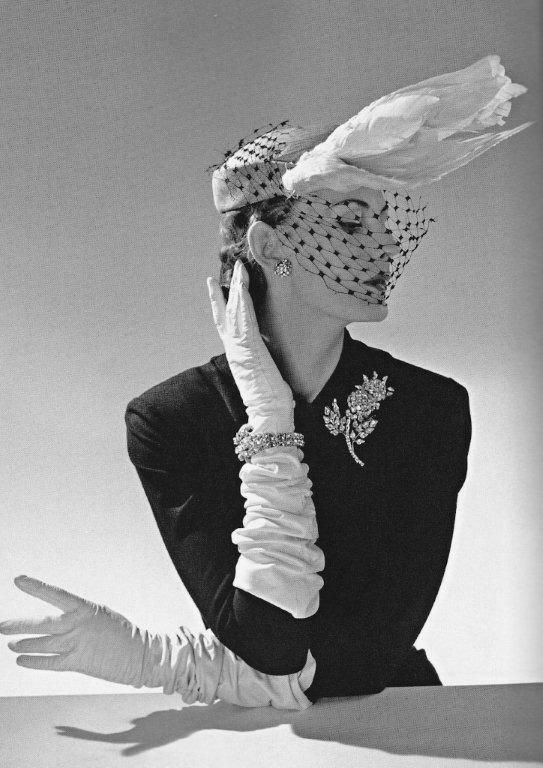 Jacques Fath (born Maisons-Laffitte, France, 6 September 1912 – Paris, France, 13 November 1954) was a French fashion designer who was considered one of the three dominant influences on postwar haute couture, the others being Christian Dior and Pierre Balmain. Young Jacques, although already very interested in fashion, studies bookkeeping and business law at his father’s urges and has a brief career at the Paris Bourse. He had also completed a year of military service, when film director Léonide Moguy casts the handsome young man in one of his films and Jacques enrolls in drama school. 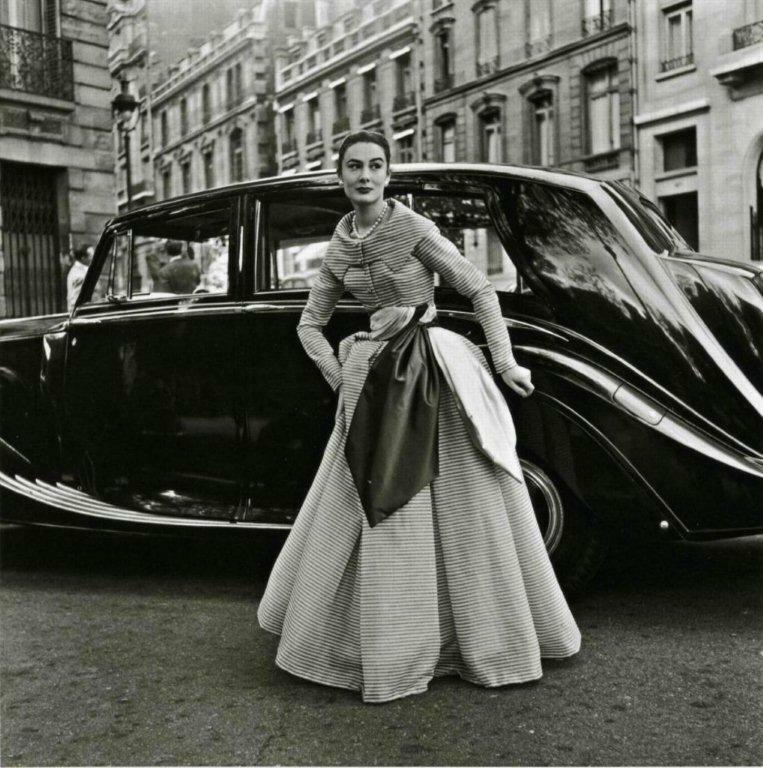 Here he befriends model and aspiring actress Geneniéve Boucher de la Bruyére, a former secretary to Coco Chanel. 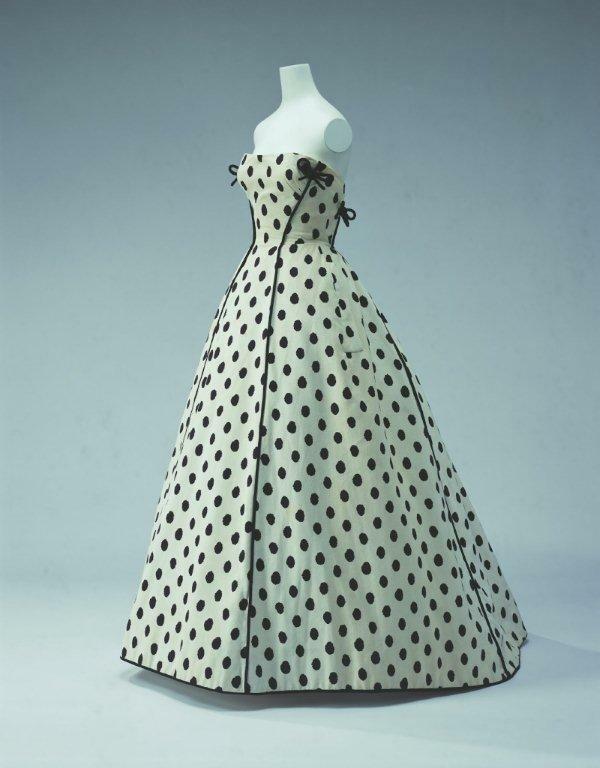 At 21, Jacques begins educating himself about fashion and costume design by exploring museums, books and the seams of his mother’s and sister’s dresses. Four years later Jacques takes the plunge and starts his business in a small space at 32 Rue la Boétie, working together with dressmaker Mme Gulbenkian, soon his partner and house premiére (head of all seamstresses and dressmakers). 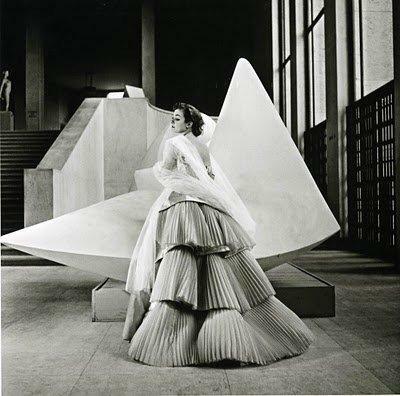 In 1939 Jacques asks Geneviéve to marry him and when she is wearing her husband’s asymmetrical drape dress and fluttery cape, she creates a stir at the Grande Nuit de Longchamps, a horse race society event. For the first time Vogue reports about Jacques: “He is inspired. He has a vision. He will succeed.” Jacques and Geneviéve become one of the most photographed couples in Paris, her being a celebrity as a cover girl and him for his good looks. Business takes of, but soon World War II erupts and Jacques is drafted to serve the French Army as a gunner second class. He is taken prisoner by the German forces shortly before Paris falls under the Occupation. Not for long though and Jacques returns to Paris and resumes control of the House of Fath by buying out his partner, Mme Gulbenkian. He joins other couturiers in keeping the city’s fashion pride alive, while being closed off from the rest of the world. Finally Jacques finds his first successes, using yards of tartan (which he did to mock the germans occupiers) and designing a number of tunic dresses and peasant skirts, suitable for women riding bikes, which were feminine and sporty at the same time. Jacques is determined to reinvent seduction. The house of Fath relocates and a son, Philippe, is born. 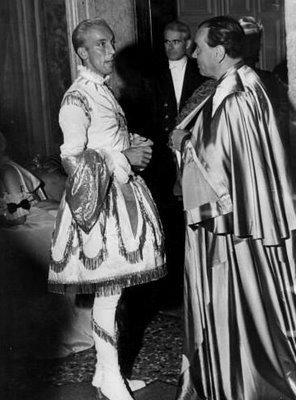 After the liberation of Paris, the House of Fath starts its legendary years of success, which will go on till Jacques death in 1954. Jacques and Geneviéve use their celebrity status for marketing purposes (and pleasure ofcourse….). 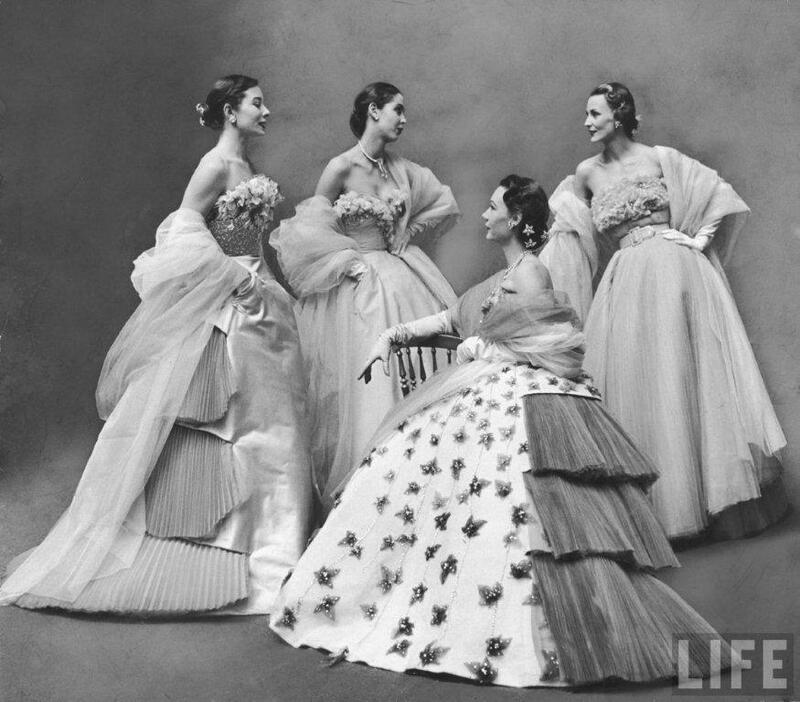 They could be seen everywhere and their yearly themed balls, held at their home the Chateau de Corbeville, were highly anticipated events. The guest list could top 800 and included the press as well as society patrons and hollywood stars. 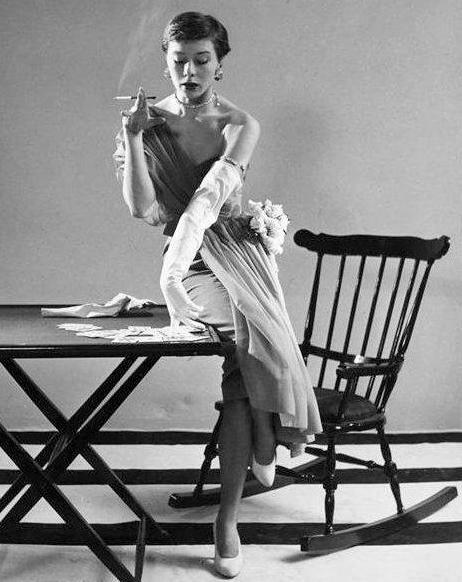 Genevieve personified the early ’50’s desire for a return to femininity and the editors of the style magazines were happy to take her lead. 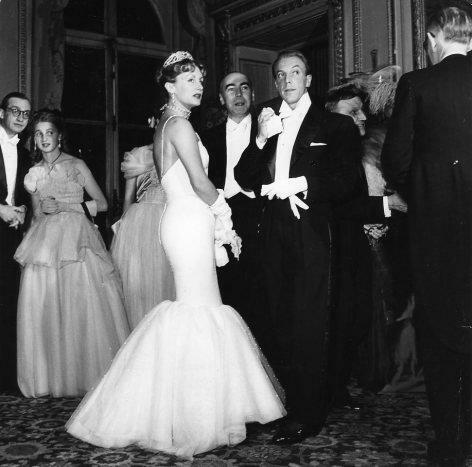 The White and Red Ball on June 15, 1951, is one of their most famous events. The scenery is recreating an 18th century masterpieces like Gilles and l’Indifferent from Watteau and a stunning painting from Princess Troubetzkoi posing as the Marquise de Pompadour for La Tour. Each guest must interpret his or her own interpretation of a costume for a 18th century white ball with ruby accessories. 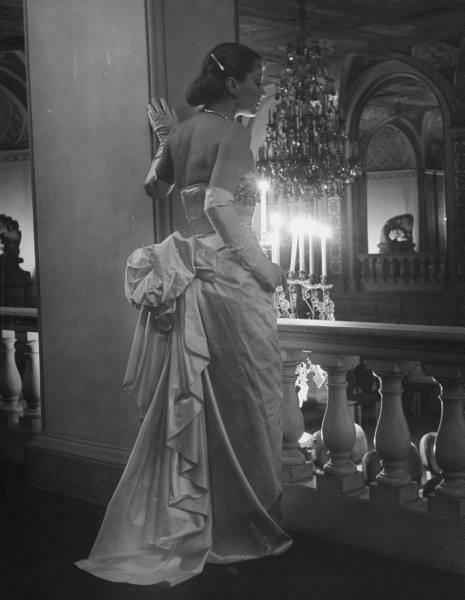 More than four hundred guests attending the ball, one of the years foremost social events, arrive one after the other at the Chateau, whose gardens are attributed to Le Notre, the garden architect from Versailles. 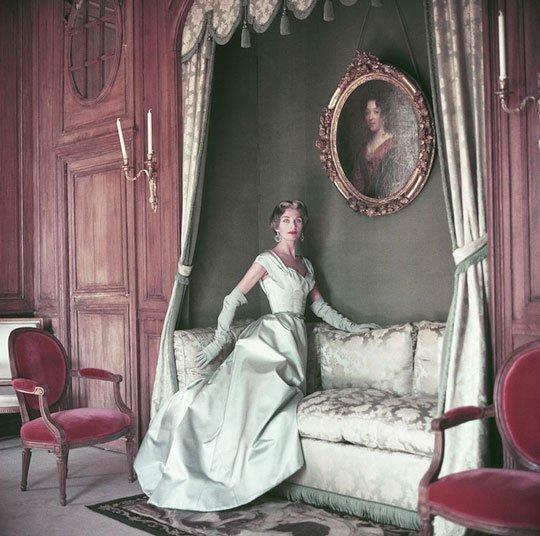 The post war world was ready to embrace everything French and wealthy Americans preferred the French fashion over the collections of the American designers, but for an unknown reason the House of Fath wasn’t embraced by them yet. So Jacques and Geneviéve decided to use their celebrity status once again and travelled to the United States for a three month tour. 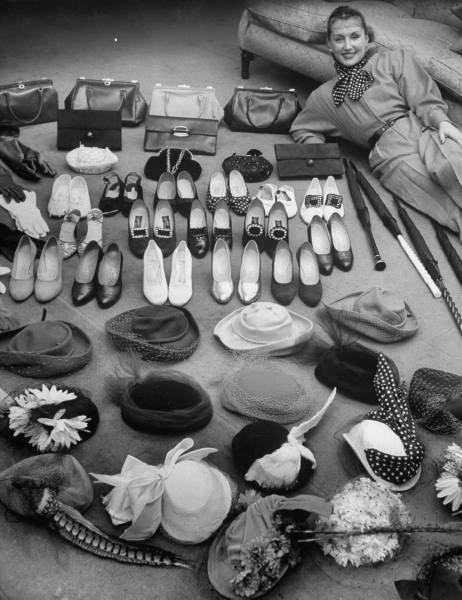 Geneviéve’s wardrobe consisted of 35 outfits for day and evening, 17 hats, 16 pairs of shoes, 10 handbags, 4 umbrella’s and numerous other accessories. 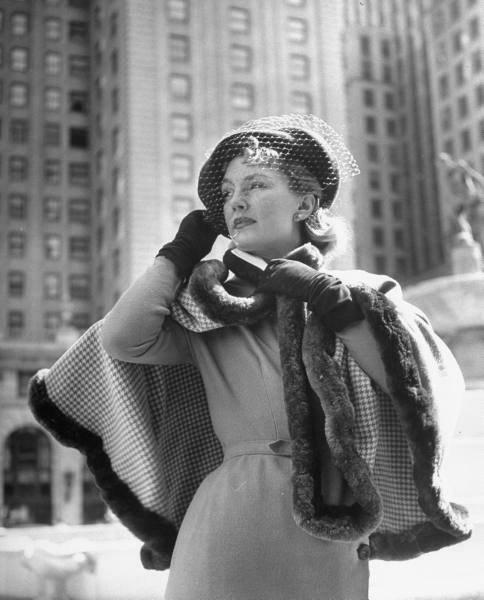 After their return, Jacques secures a deal with Seventh Avenue manufacturer Joseph Halpert to design two ready-to-wear collections a year under the label “Jacques Fath for Joseph Halpert”. 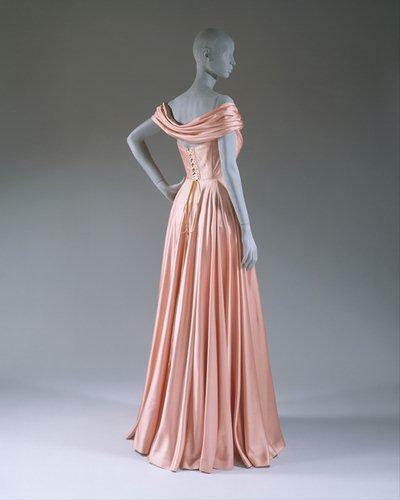 During his career, Jacques Fath hired several young new designers as assistants and apprentices, many continued to form their own Fashion Houses, including Hubert de Givenchy, Guy Laroche, and Valentino Garavan. He was also very polite and respectful for his team. 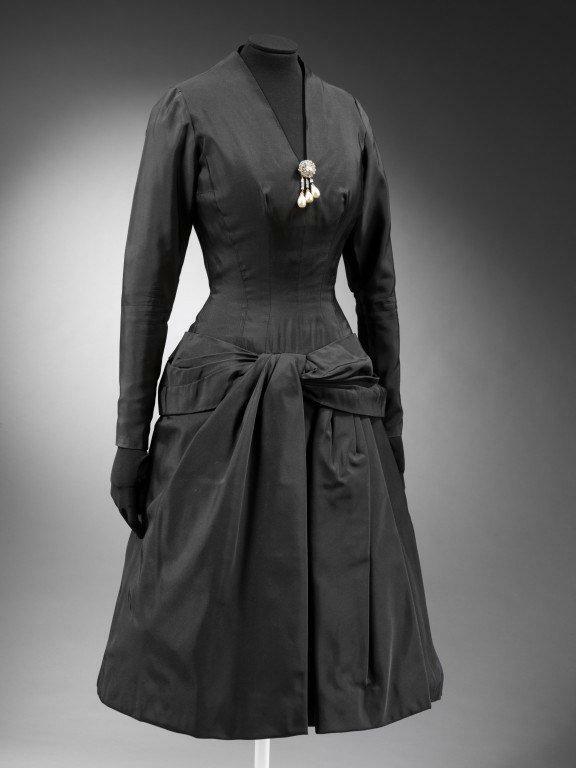 He called his seamstresses always by their first name, never forgot a birthday and offered a wedding dress to his female workers getting married. 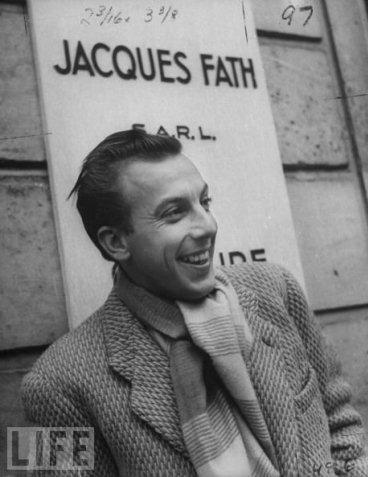 And the more than 500 workers had tremendous respect for Jacques. The House of Fath also produces a lot fragrances, starting of with Chasuble, Iris Gris and Canasta. 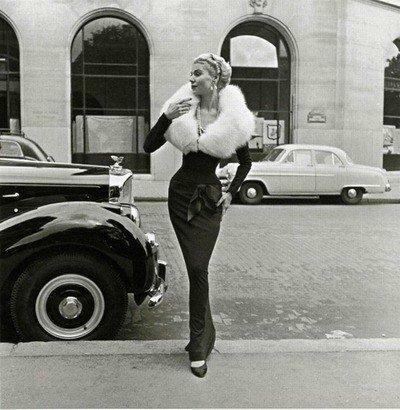 And in 1950 Jacques opens a boutique in Paris, offering affordable luxuries like scarves, stockings and men’s ties. 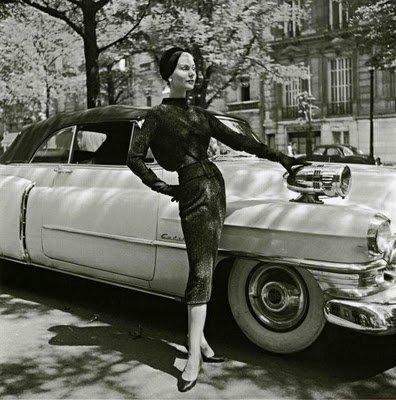 In 1954, Jacques launches a prêt-a-porter line, Jacques Fath Université, this to the snobbish horror of many in the haute couture establishment! 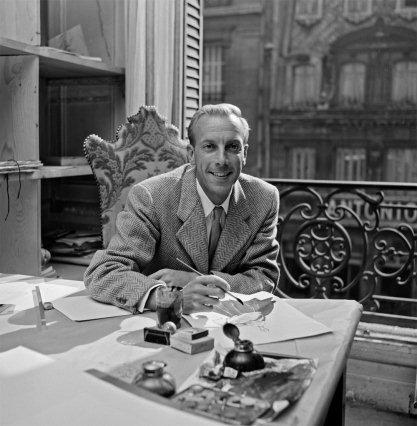 At the end of the year, Jacques Fath dies of leukemia, only 42 years old and just a few weeks after his last collection. Geneviéve keeps the House running for three more years with er husband’s former associates. 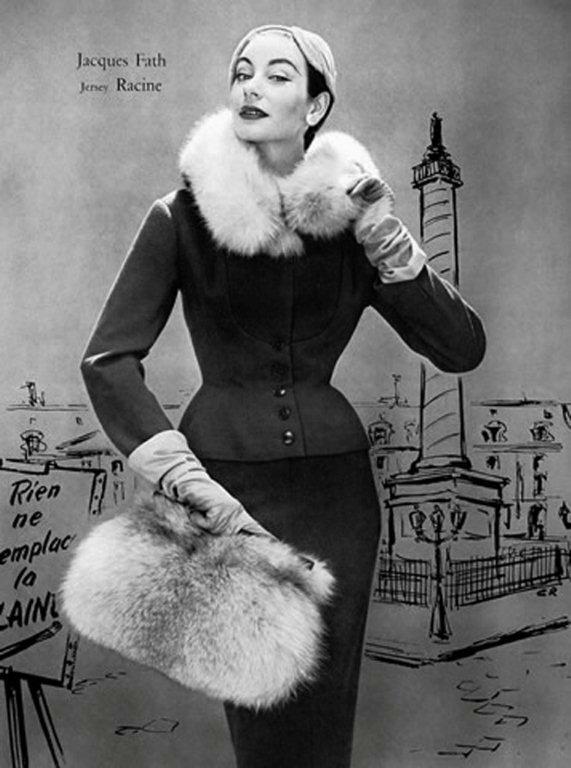 In 1957 the company’s haute couture operations ceased to exist, but the business went on producing perfumes, gloves, hosiery and other accessories. 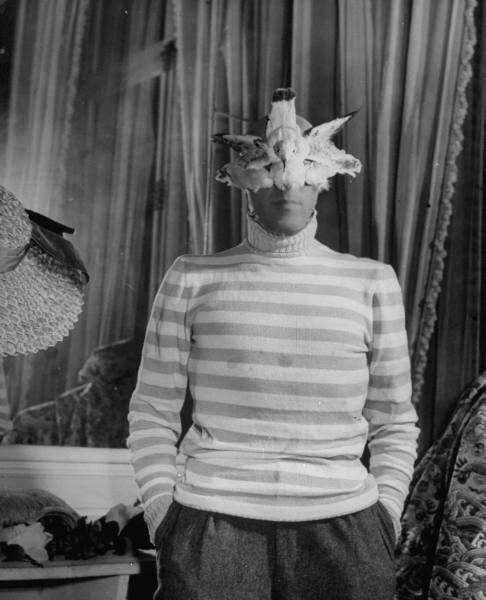 Jacques Fath, who has been described as extremely effeminate and a former lover of the French film director Léonide Moguy. Geneviève Boucher de la Bruyère, his wife came from an aristocratic family and was supposedly a lesbian. 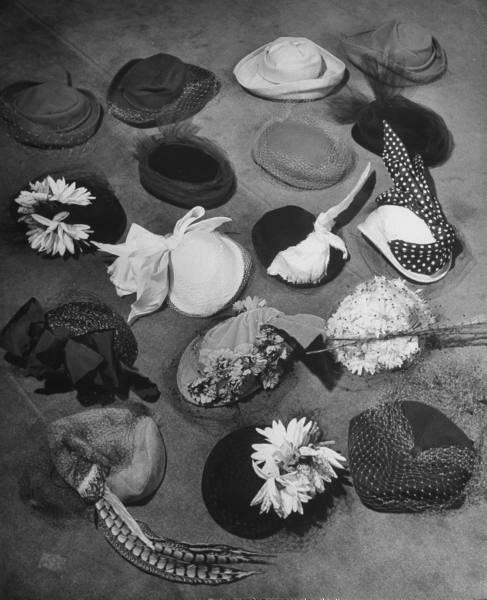 In 2010, after several tries to revive Jacques Fath as an haute couture house, the Alliance Designers Group, current owner of the name Jacques Fath is now reviving the famed label as an accessories brand under the creative direction of Laurence Dumenil. There were at least two unsuccessful attempts to revive the House, with the global economic downturn and the Great Recession as much as mitigating factors as the changing fortunes of haute couture as probably reason for the disappointing results.